Soundtrack album available now on 12-track vinyl and CD, and 21-track digital. Album produced by Jack Arnold. All tracks produced by Jack Arnold except “Goin’ Back To Harlan” and “Le Petit Chat Gris” produced in Nashville by Ray Kennedy. Featuring the amazing talents of Neill MacColl & Simon Johnson - guitars; Stuart Nisbet - guitars, dobro, pedal steel guitar; Aly Bain & Laura Carrivick - fiddles; Phil Cunningham - accordion; Ben Nicholls - bass; Chris Vatalaro - drums; Ben Edwards - harmonica; Andy May - keys. Nashville Band (tracks 12, 16) - Neill MacColl - acoustic guitar; Kenny Vaughan - electric guitar; Lynn Williams - drums; Steve Mackey - bass; Russ Pahl - pedal steel guitar; Matt Combs - fiddle. Jack Arnold is an RTS-nominated film, television and theatre composer working in feature film, prime-time television and West End theatre on a wide range of award-winning work. His work includes the critically acclaimed feature film The Scouting Book for Boys, directed by Tom Harper, This Is England '86 for Channel 4, and Niall MacCormick's debut feature film Albatross for CinemaNX. More recently he scored Holy Flying Circus, a BAFTA nominated film written by Tony Roche and directed by Owen Harris about the events surrounding the 1979 release of Monty Python's "The Life of Brian", for which he received an RTS Award nomination for Best Score 2012. 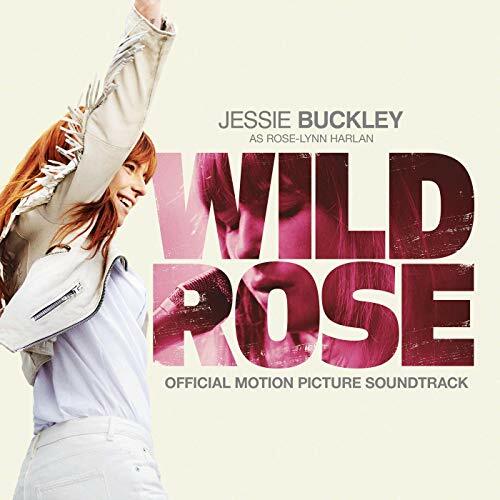 His collaboration with Tom Harper continues with 2019's Wild Rose, starring Jessie Buckley and Julie Walters, for which he is musical director, score composer and album producer; 2014's War Book, a track composed for 2015's The Woman In Black: Angel of Death, and additional music for the BBC’s 2016 adaptation of War and Peace; as well as numerous other commissions for TV, film and music libraries, including on-set music for 2019’s The Aeronauts starring Eddie Redmayne & Felicity Jones.